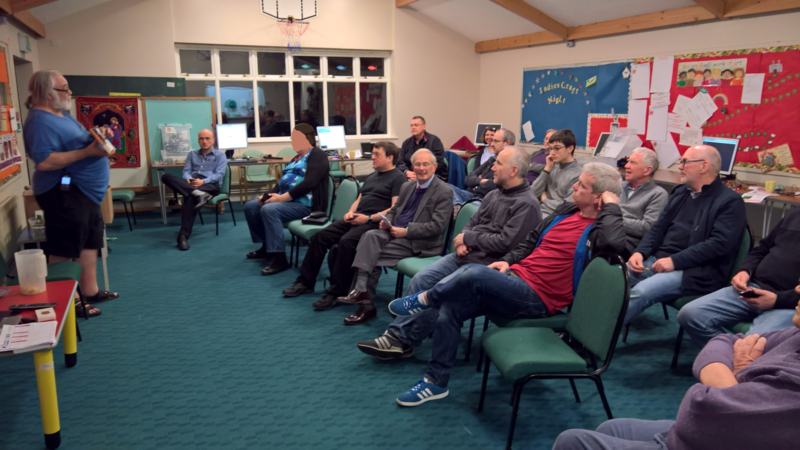 The Quantum Technology Club, based at Cottage Lane Mission in Ormskirk, held its first ever meeting last night. The organisers, the Quantum Amateur Radio & Technology Society (QuARTS) said they were extremely happy with the turn-out, twenty five fold turned up and thirteen of them signed up for membership on the spot. 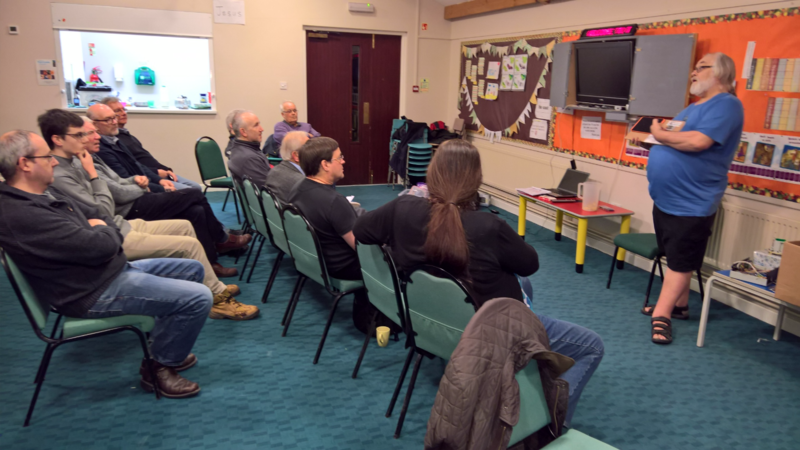 Those present enjoyed a hands-on introduction to the Raspberry Pi, presented by Derek (G7LFC), and a few other mini-talks on various subjects. 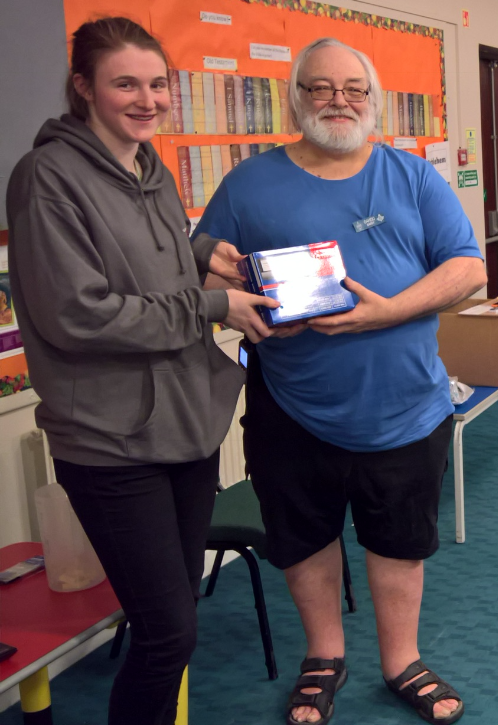 Whilst enjoying the free refreshments and slices of Pizza, the raffle draw took place which saw Barry (G4HDU) win the star prize of a new HF/VHF VSWR meter very kindly presented to the club mt by one of the UK’s largest amateur radio dealers, Martin Lynch. 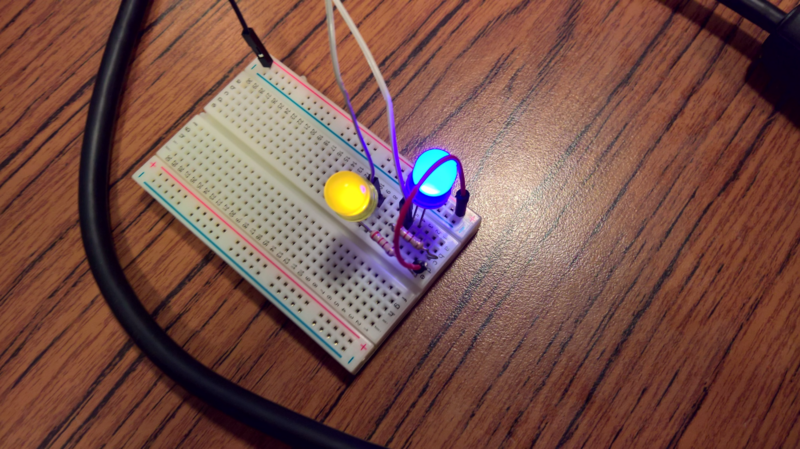 The Quantum Technology Club has been set up so that folk who are interested in all aspects of technology (inc. electronics, computer coding, amateur radio, Raspberry Pis, Arduinos, Micro:bits, 3D printing and laser cutting, to name buy a few areas) can come together and share their experiences and learn new skills from each other. established by a team of amateur radio enthusiasts, this is more than just an amateur radio club and it’s not a closed group for members only; anyone can attend and join in the fun. The next meeting of the Quantum Technology Club will take place on the 6th April; doors open at 7:30pm for an 8:00pm start. Barry will be doing a presentation on Arduino comtrollers and there’ll be a selection of mini-talks and the usual free refreshments and technoRaffle (£1.00 per ticket). Also on the menu will be delicious doughnouts, the staple diet of any amateur technologist, at 40p each. So we look forward to seeing you at the next meeting; entrance is £1.50 for members and £3.00 for non-members – you can join and become a member for just £10 upon entry and save yourself some money. If you could print out a membership form and fill it in before you come along that would speed up the process; thanks.